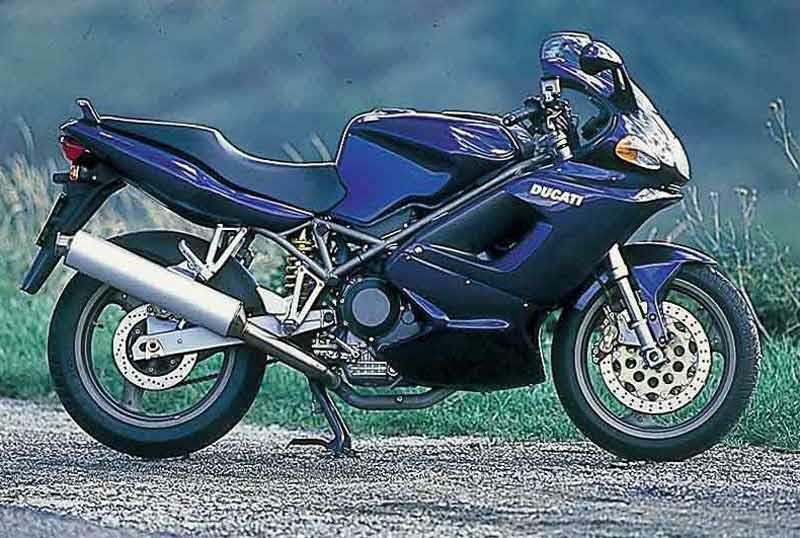 The forgotten Ducati family of sports touring motorcycles. 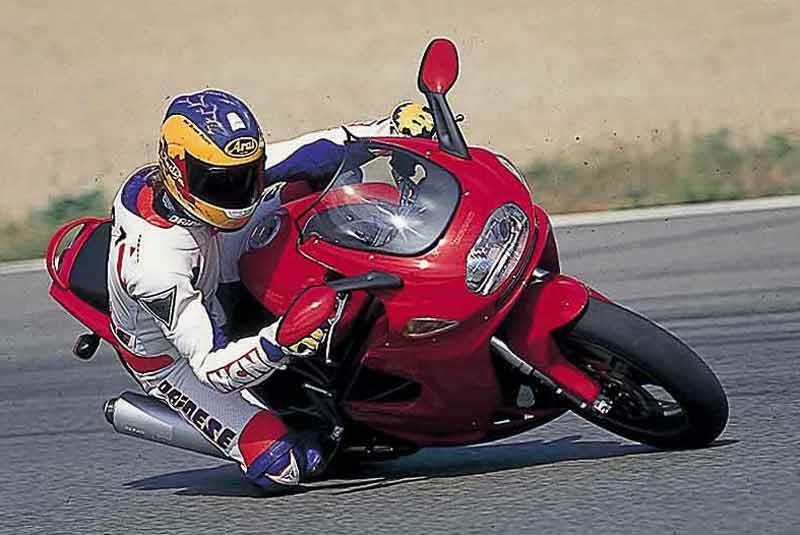 While Monsters rule in town and Superbikes jostle for supremacy on the track, few think of these practical yet exciting machines when Ducati is mentioned. It’s a shame as the Ducati ST2 and ST4 are excellent machines. The sports and street machine DNA is obvious in these motorcycles – they handle well – stable yet reasonably quick to steer. Bumpy roads can upset the Ducati ST4 but adjusting/upgrading the suspension will help. Vibration can spoil the party but if properly serviced it shouldn’t be too noticeable. Powerful brakes. 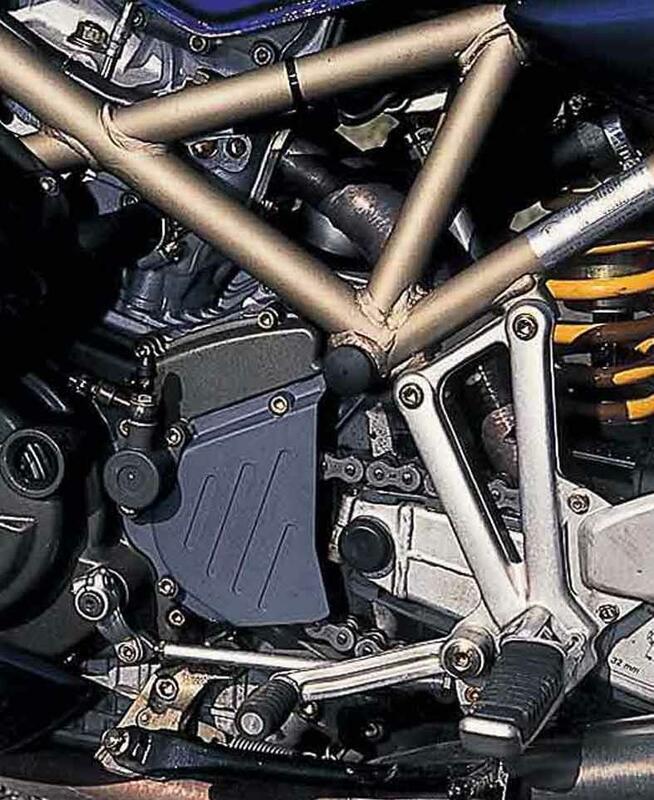 The Ducati ST2 relies on an old power plant derived from Ducati’s old 907 Paso. Like most Ducati's it’s a 90 degree V-twin. It’s liquid cooled and while not incredibly powerful is torquey with superb midrange. 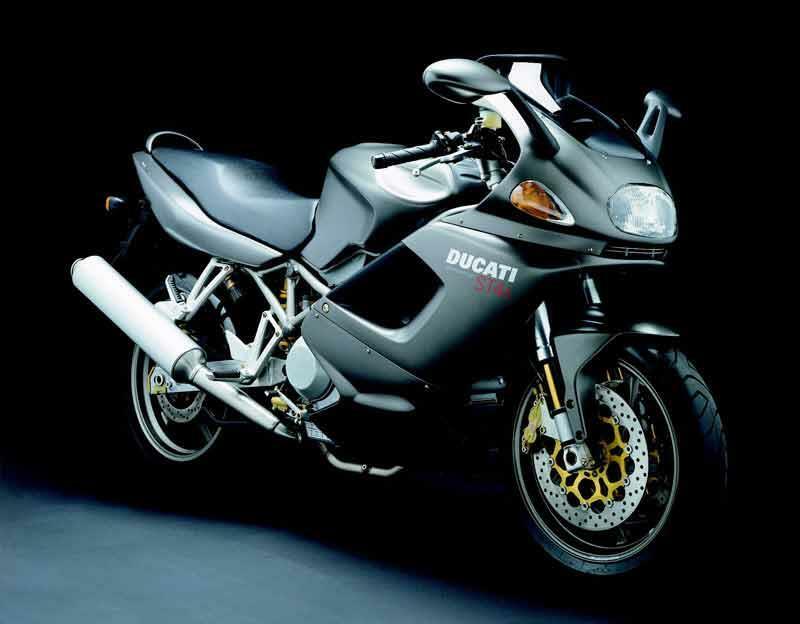 The Ducati ST4 is a newer bike with the more advanced and powerful 916cc engine from the iconic Ducati 916. Despite the reputation for iffy reliability, the Ducati ST2 and Ducati ST4 are fine if well looked after. Owners tend to be kinder to their motorcycles than those who have sports Ducatis plus the motorcycles get used constantly – occasional use can be bad for them. Full service history is still essential when buying any Ducati ST2 or Ducati ST4. There’s a lot of competition, both from other premium sports touring motorcycles like the Honda VFR800 and the Triumph Sprint ST but also from the excellent budget middleweights like the Yamaha FZ6 Fazer. 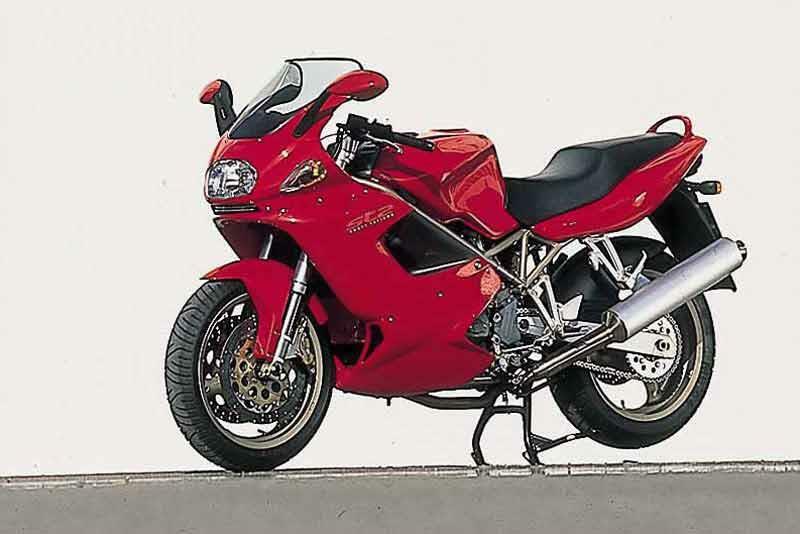 The Ducati ST2 and Ducati ST4 still represent decent VFM. Find a Ducati ST2 for sale. 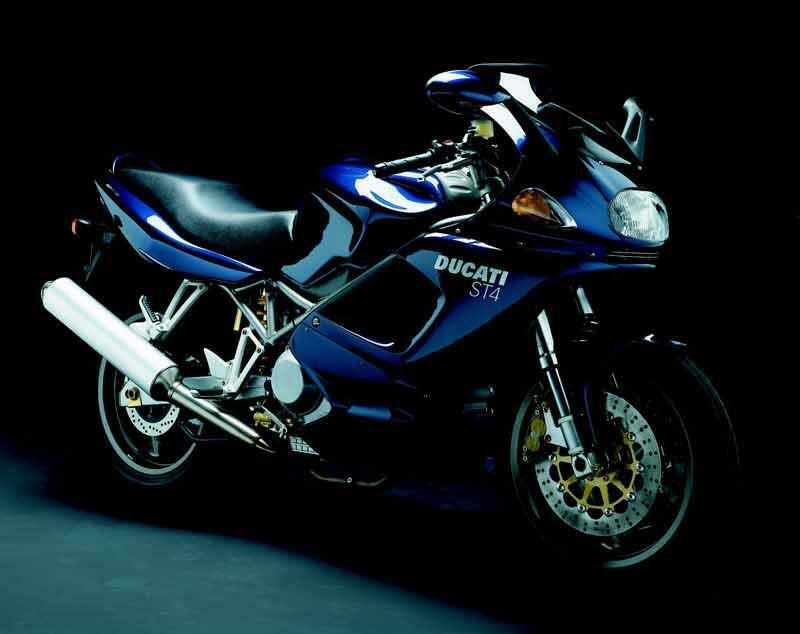 Find a Ducati ST4 for sale. Insurance group: 15 of 17 – compare motorcycle insurance quotes now. Panniers were a cost option on the Ducati ST2 and ST4 but otherwise standard equipment is reasonably generous on both motorcycles – they are on the sporty end of the sports-touring continuum. The seat is comfy enough touring but the pillion perch seems to suit some better than others so get yours to try before you buy. 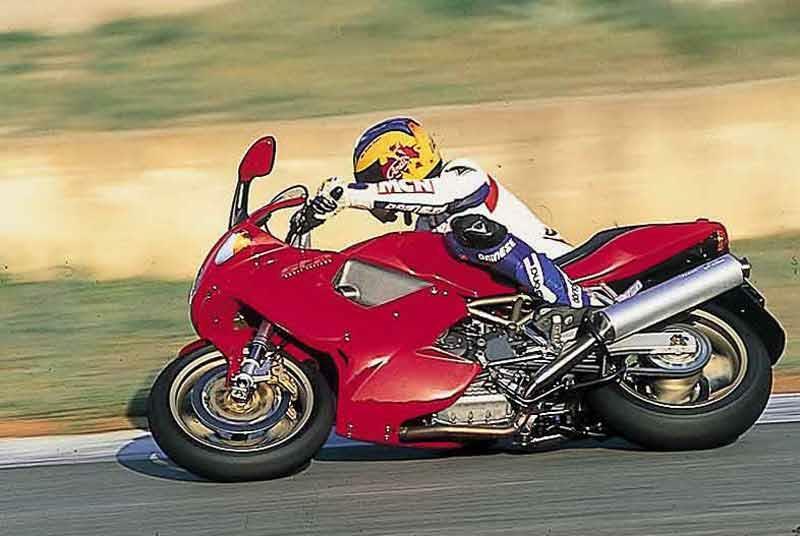 1996: Ducati ST2 launched in October. 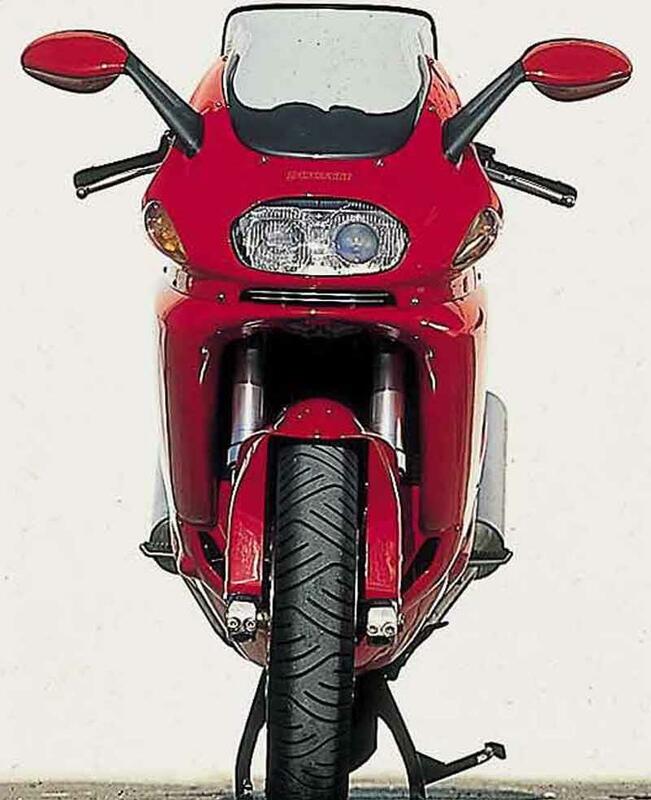 1998: Revised rear suspension, longer gear lever. 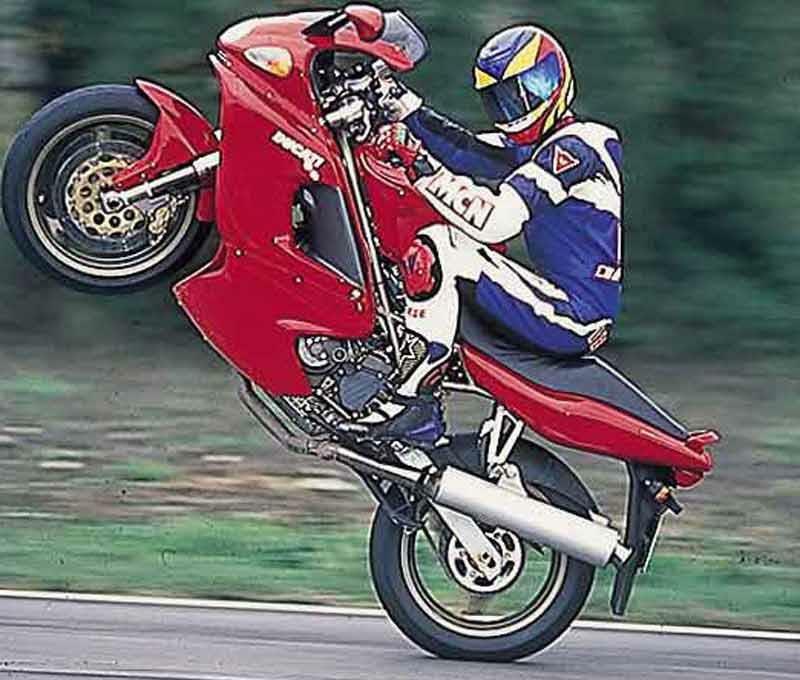 2000: Ducati ST2 and Ducati ST4 get grey frame and wheels, new clocks, improved side stand, braided steel brake lines. 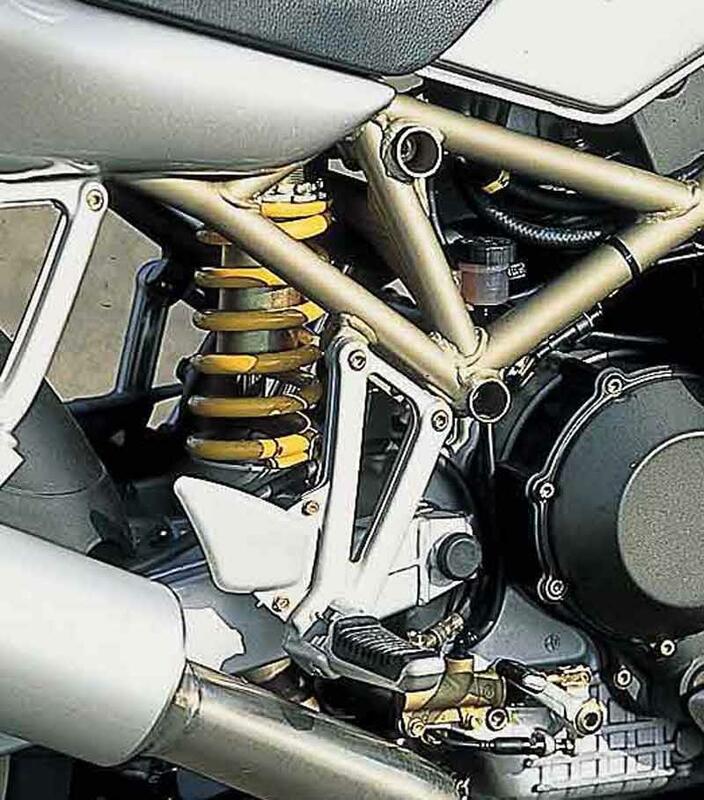 2001: Suspension rebound adjustment removed from Ducati ST4. 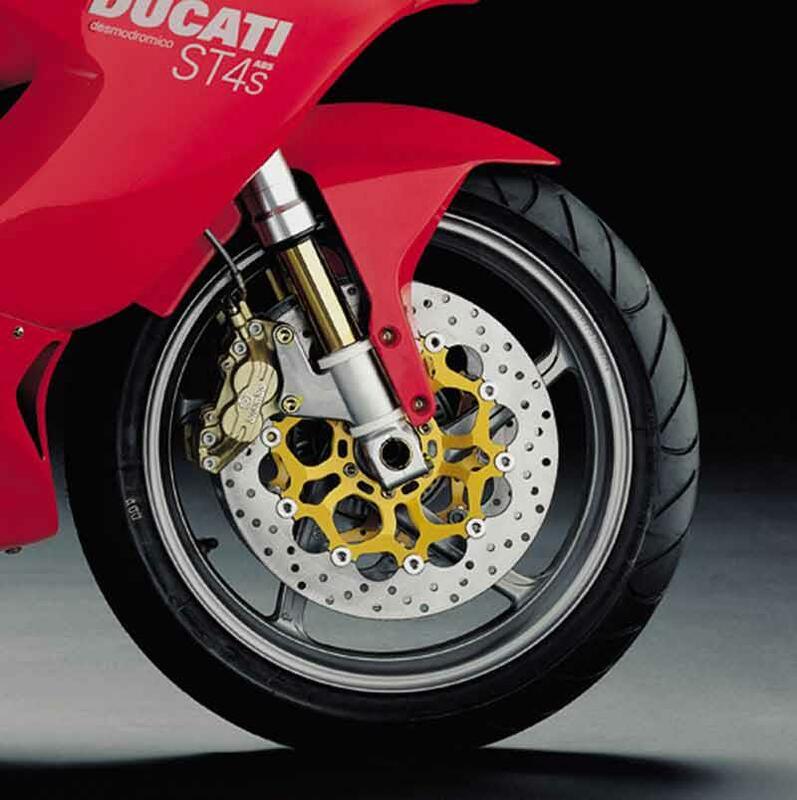 2002: Ducati ST2 and Ducati ST4 get catalytic converter and aluminium clutch housing. 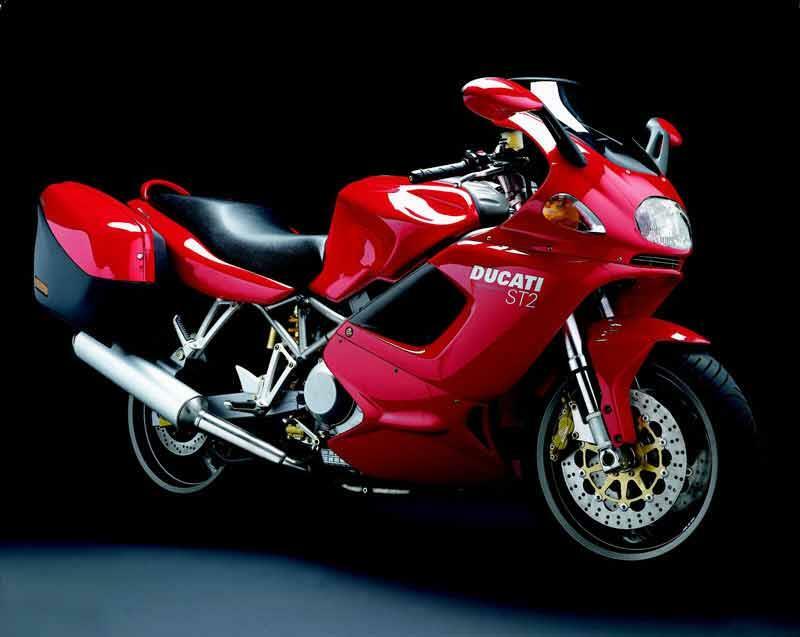 2003: Ducati ST2 and Ducati ST4 discontinued in September. Ducati ST4S: similar to Ducati ST4 but with re-tuned 996cc engine and superior suspension.In production from 2002 to 2004. 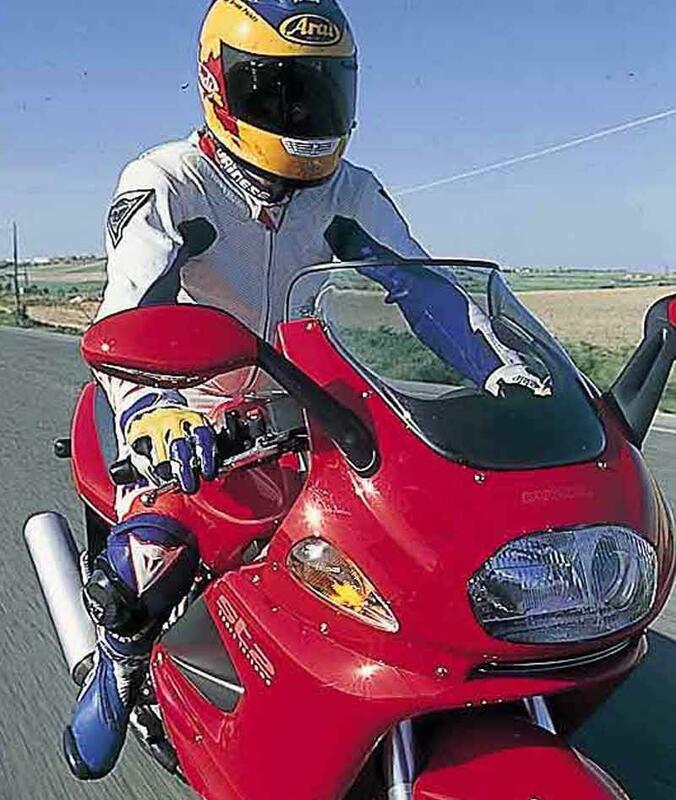 10 owners have reviewed their DUCATI ST4 (1996-2003) and rated it in a number of areas. Read what they have to say and what they like and dislike about the bike below. Pulls like a train, handles sweet, comfortable and stops on a sixpence. On real world roads what more do you need. I forgot to mention the sound ! Excellent wind protection and comfortable seat with a perfect riding position [for me] makes riding all day a pleasure. The Brembo stoppers are more than enough, especially with Black Shadow discs. Straight through pipes and open top air box makes sound and torque incredible. Deep growl from the 996 lump is intoxicating. After 82,000 miles she`s never let me down, Been all over Europe many times, long motorway trips at high speeds, tight twistys in the Alps and Pyrenees, she handles them all with ease. I`ve done all the servicing myself. Changed oil and filter every 3,000 instead of the recommended 6,000 miles which I think has paid off because the valve clearances have never needed adjusting after 82,000 miles. Good quality fully synthetic oil always used. Well laid out dash board, easy to read, no complicated stuff. Factory panniers are big enough for a helmet and look neat, ideal for touring. Only extras I`ve fitted are Oxford hotgrips which do the job. About 12 years ago I wrote off my Tuono on some diesel on a roundabout and a friend who had just bought the St4s offered it to me with only 1800 miles on the clock. I didn`t need asking twice. This has been my third Duke and definitely the best. Performance, handling, involvement, noise, red, mpg, comfort, rider and pillion, accessories, motor, did I mention the noise ! The reliability 57000 miles all over Europe never had a breakdown. At its best in the mountains and wide sweeping bendy roads anywhere in Europe even autoroutes autostradas etc with lots of fast corners ie Lyon to saint Etien or coming out of clermont towards the south as long as you got bends its at it's best. An exceptional sport tourer which will comfortably carry my wife and I in comfort for 500 mile stints? Montelimar to Cherbourg anybody. The noise the gearbox (best I have ever had on a bike) high speed low revs,real punch on acceleration, the motor is a gem. Don't believe what they say about riding in town,not a problem. Quality components,quality paint, reasonable fasteners, never had a breakdown in all the years my wife and I toured the ST4S (more than could be said for some of the bikes we toured with) speaking to two adventure bike riders on 2 very popular and expensive new bikes on the ferry,asked me where I had been, told said around Italy for a couple of weeks, asked them where they had been, Bordeaux! But both bikes broke down and had to be recovered back to Cherbourg to be picked up he other side both new bikes gear box and shaft drive, they asked me what I was riding told them a Ducati ST4S they both laughed and said I was brave !!!! Lots of jobs did myself filters oils, (belts,shims, injection,) quality independent mechanic. Headstock bearings need stripping and greasing by 15000 miles to maintain handling,clutch plates last well with a vented clutch cover, always use quality oil, and change after every long tour say 3000 miles. 7 years on and my ST4S 2004 facelift 996 engined Sports Tourer still has a few tricks up it sleeve and it still cuts it as a real road bike, with pace to shame a few modern bikes, obviously it's a little slower each year then the newer bikes but i've not noticed anyone riding them any quicker and no no has made a replacement bike that is any better in my distorted mind. A very nice and sedate bike. I took it on a little tour up to Michigan (about 1200 miles 1 way) and did 750 miles in 1 day. I was concerned about fatigue on the interstate but the ST4 is remarkably comfortable. On the way back, I stumbled onto a great stretch of road. 200 miles of hills, curves, no cops, no traffic and the Duc performed great. Bike gets good mileage and really the only complaints I have are the crappy side stand, the complete whip to get the fairing on and off to do anything, and really the financial responsibility one undertakes when owning a Ducati. The ST4 does not like to start in cold weather (below 40-45F in my part of the world) and the electronics are a bit questionable. I swear I will sell it every time I do an oil change (who ever heard of having to remove the mirrors to do an oil change? ), but then I swear I will keep it until the tires fall off every time I ride it. Wow! come with center stand (thumb up), useless windscreen in rain (thumb down). Please check defintition of "Tourer" for more design upgrade and improvement. I have had a desire to own an Italian bike for years, but was put off by the old reliability issues, but I threw caution to the wind and ended up with a 3 year old demonstrator. Once fired up, that delightful tune demands you just keep on playing it. Sure, at tickover they sound like the gears are not on the shafts they should be, but once under way and over 3000 revs, joy - pure joy. The grin factor is just huge. Frame is excellent and you feel like your riding on a rail in the road. Brakes also very powerful, yet have good feeling. The seat is great for both rider and passenger, but round town the forward inclination puts a lot of weight on your hands. The clutch is heavy. Commuting in London gave me tennis elbow in the left arm. Motion is needed to help take the weight of your hands, or strong back muscles! Apart from the main bearings having to be replaced at 12,000 miles, the "Duke" has been superb. I love it on the open road, hate it round town. Strengths: Good gutsy motor, solid frame, super brakes. Comfy seat, 50mpg average even when caneing it hard, Italian Styling. Weaknesses: Heavy clutch, you have to get used to the riding position. Superb,2004 facelift model with open pipes. This bike has it all, starting with the 996 motor, you can thump about on single track roads 2 up, grunt past cars 2 up with under 7k on the clock (that would leave an on the redline vfr750fv for dead) 1 up on fast A roads 115mph is basic stuff and not having to use more than 7k on the clock, ride it like a two stroke and it is a very fast bike on single track roads, bumpy B road, fast A road anywhere you like. how good is this bike, well its replaced my VFR750FV and my CBR954-RR3 both are for sale. Strengths: Everything. Weaknesses: Fuel consumption when gunning it, servicing costs are well out of order, eats rear tyres. One of the best bikes I have ever owned - reliable, economical and FUN! Fiddly fairing removal for servicing. Dzus fasteners saves a lot of time. Having owned my st for a year, I have found it more than capable of either touring two up with full luggage or a blast through the twisties. Reliability has not been an issue with 6000 miles notched up without a hiccup. On the downside the seat can be a bit hard though my pillion says its comfy. Strengths: Mid range punch Mirrors Good hard luggage handles well decent brakes. Weaknesses: service costs, seat . Ducati’s choice of venue for the launch of its new ST4S sports tourer seemed rather odd at first. "Rides, goes and handles superbly but the V-Tec's variable valve timing has caused some controversy"